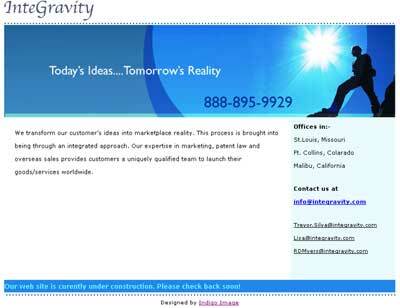 St Louis based Integravity “Turns today’s ideas into tomorrows reality”. We are assisting them with their mission by designing a custom new web site ..look for it’s launch in 2006. In the mean time we have created a custom holding page to deliver contact details.